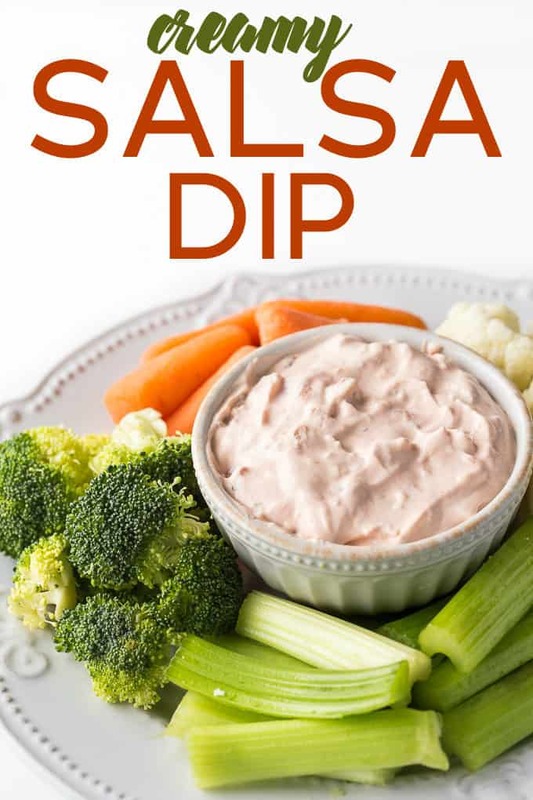 This Creamy Salsa Dip can be thrown together in a matter of minutes! It reminds me of the cream cheese layer in my mom’s recipe for Layered Taco Dip. It’s only three ingredients: salsa (obviously), cream cheese and sour creamy. It’s so yummy! Serve it with fresh veggies like I did here or tortilla chips. If you want to add a little more heat, use hot salsa. I used mild salsa so mine wasn’t spicy at all. With summer BBQ’s coming up, you’re going to want to have some easy dip recipes under your belt. This one always is a hit at parties with people asking me for the recipe. You’ll make it once and then never forget it! You might also like this Cilantro Lime Avocado Yogurt Dip or Crockpot White Chili Chicken Dip. 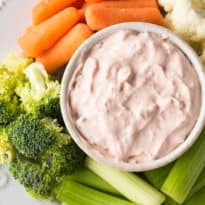 What is your favourite dip recipe for summer entertaining? 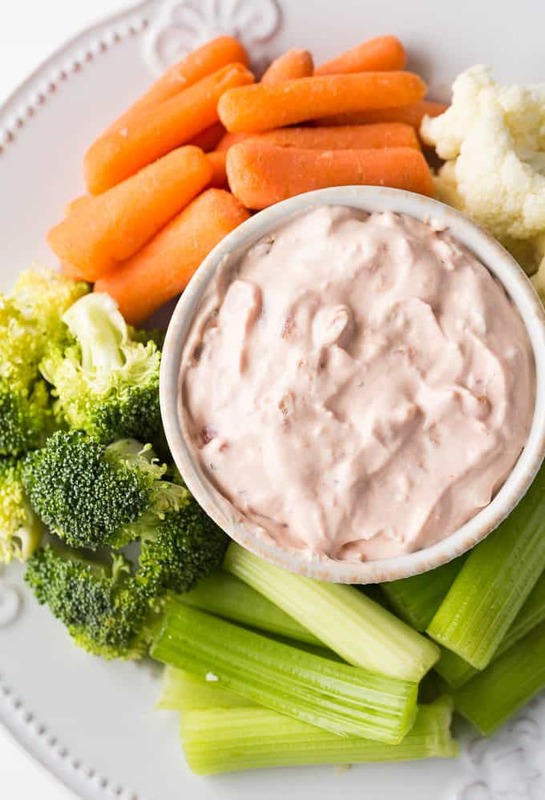 Only three ingredients in this simple dip recipe. It’s always a hit at summer BBQs! Combine all ingredients together in a bowl and stir together. Serve with tortilla chips or fresh veggies.